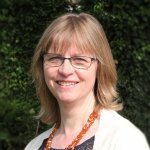 In this blog for our Evidence for Everyday Allied Health series, Sarah Chapman looks at recent Cochrane evidence on interventions for swallowing difficulties in people with dementia and after stroke. Today is Swallowing Awareness Day, a day of campaigning to highlight how dysphagia (difficulties with eating, drinking and swallowing) affects people’s lives, and what speech and language therapy can do to help. There are recent Cochrane Reviews on interventions for dysphagia in people after stroke and people with dementia, so this seems a very good time to take a look. Dysphagia is common in stroke survivors, as are the complications that can result, including aspiration of food or fluid leading to chest infections and pneumonia, malnutrition and increased risk of infection. It lengthens the time spent in hospital and increases the risk of both dependency and death. Speech and language therapists can provide a range of interventions to treat dysphagia; compensatory approaches include modifying the consistency of food and fluid and postural adjustments, while rehabilitative methods include swallowing exercises and peripheral sensory stimulation. A Cochrane Review comparing swallowing therapy with usual care for people with dysphasia up to six months after stroke was updated last autumn to include 41 studies with 2660 participants. The review authors explored the effects of swallowing therapy on death or dependency and other outcomes such as swallowing ability. They assessed eight types of stimulatory techniques ‐acupuncture, behavioural therapy, drug therapy, neuromuscular electrical stimulation, pharyngeal electrical stimulation, physical stimulation, transcranial direct current stimulation, and transcranial magnetic stimulation. They found that swallowing therapy may slightly improve penetration aspiration scores and may slightly decrease pharyngeal transit time (by 0.23 seconds) as well as the number of people with dysphagia (344 vs 556 per 1000 people). It also probably reduces the length of hospital stay by about three days. The evidence on swallowing ability and chest infections or pneumonia was very low-certainty, precluding firm conclusions about these outcomes, and the review authors note that information on swallowing therapy continues to be insufficient. We can hope that the next update of this review might have some more robust evidence, as the review authors identified 22 ongoing trials which should add to the data when complete. A recent Cochrane Review assessed the benefits and harms of modifying the consistency of food and fluid for people with dementia who have dysphagia. As with people after stroke who have swallowing difficulties, dysphagia in this population can increase the risk of aspiration pneumonia and death, as well as malnutrition and dehydration. Thickening agents are used to change the consistency of liquids along a spectrum of thickness from ‘water-like’ to ‘pudding-like’ and of course the consistency of food can also be altered. The available evidence is disappointing. The review authors found no eligible trials on food modification, which is surely an important evidence gap. There were only two that looked at modifying fluids, both part of the same multi-centre trial, with participation in the second depending on the results from the first. The trial included people with dementia and people with Parkinson’s disease with or without dementia; only data on people with dementia were included in this review. The first study was a cross-over study that gives only a snapshot of a moment in time, assessing the immediate effect on aspiration of honey thick and nectar thick liquids compared with regular liquids, using videofluoroscopy. The second compared the effects of nectar thick and honey thick liquids with a chin down head posture on pneumonia and adverse effects of the intervention, over three months. Honey thick liquids showed more positive effects on immediate elimination of aspiration on videofluorocopy but were associated with a higher incidence of pneumonia in the second study. No deaths were reported to be ‘definitely related’ to the interventions. 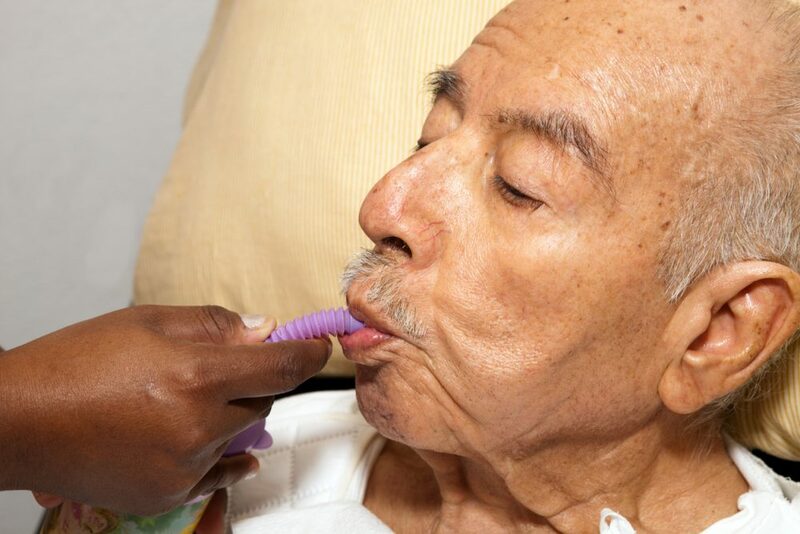 The review authors’ bottom line us that whilst the very limited evidence currently available suggests that thickening fluids in the long-term may be associated with adverse events for some people with dementia, there is continued uncertainty about the benefits and harms of modifying the consistency of food or fluid for people with dementia who have dysphagia. They suggest that the lack of evidence to inform decisions about the use of thickened liquids should be discussed with family members. Join in the conversation on Twitter with @SarahChapman30 @CochraneUK #swallowaware2019 or leave a comment on the blog.